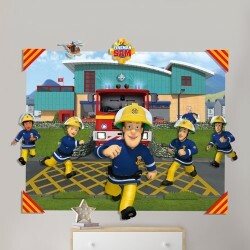 Pop Out Wall Decoration is a new, exciting and unique range of 3 dimensional wall decoration that transforms any kids bedroom, games room or playroom. Each kit contains a highly detailed background scene which measures approximately 4ft x 5ft and comes in 3 panels, 8 sheets of 3D element to assemble, 1 roll of double-sided tape for complete installation and a step by step instruction guide. Why not design and construct your very own action-packed scene... create the ultimate wow factor and let the 3D fun begin! 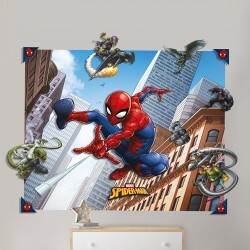 Designs include Fireman Sam, Marvel Avengers and Marvel Spiderman. 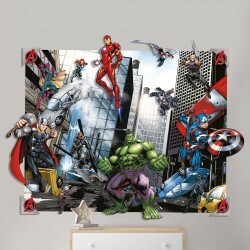 3D Pop Out Wall Decoration There are 3 products.